St. Theodore's Day is celebrated six days after Shrovetide. St. Theodore's Day is celebrated six days after Shrovetide. It is also known as "Horses' Easter" because of the horse races (kushii) commonly held on that day. One of the first spring holidays popular and Orthodox calendar is Theodore. He noted the first Saturday Shrove. This holiday is also known as "Horse Easter" because it is celebrated mainly for the health of horses. In the Orthodox calendar has a total of six saints bearing the name Todor, but in the national consciousness does not distinguish between them and honor St. Todor in a special day is flexible, according to Easter - the first Saturday of the post. Although not as great saint patron - like St. George St. Demetrius, St. Nicholas, though St. Todor occupies an important part of folk customs and is important for all spring rituals change winter to spring and the related fertility.On this day, according to folk St. Todor crawls on his horse Spring field to check you grow crops, then thrust his spear into the ground, tying him for the horse takes off nine housing and goes to God to pray for summer. So people associated Theodore mostly hoping for fertility. 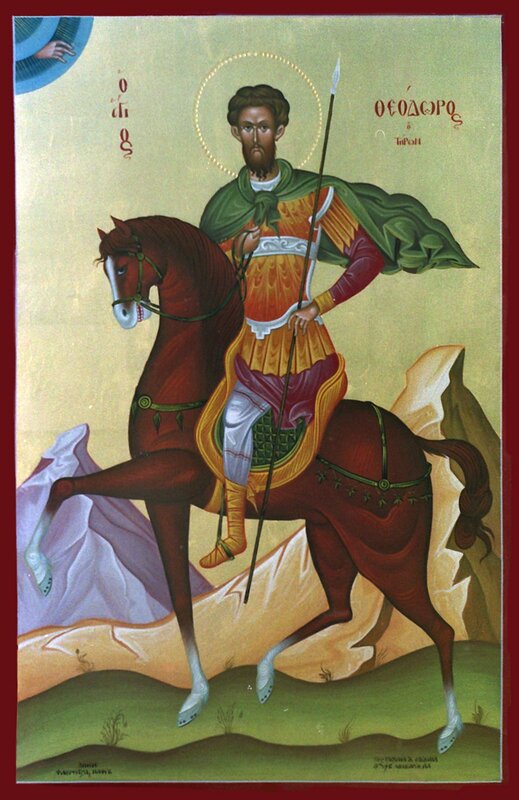 "St. Todor nine undress jacket and a white horse goes to God to beg Summer"
Women and men divided their customs. Central to occupy young brides who began to call brides and are entitled to knead bread mazhovata house. 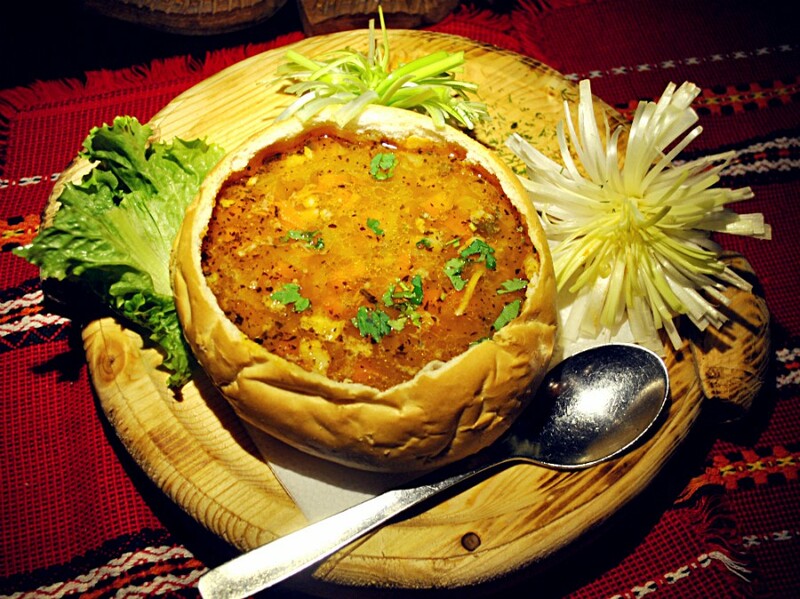 The baked their ritual bread in the shape of a horse or a horseshoe, brush with honey and it is glued boiled corn. Bread is checked by mothers in law and it is distributed to relatives. This ritual is important for rapprochement between the wives and mothers in law and acceptance of young brides in the family. From the ritual bread is placed in the manger of the horses are healthy and have offspring. While handing out bread in some places in Bulgaria, even women jumping and neighs like a horse to be fertile mares. Grandmothers clipped for the first time after the winter the children, so in some places is called "sheared like a donkey in March." Young girls wash their hair with water in which there straws from the manger of horses to be shiny and healthy hair as their horses' manes, then pour the water after the horses take to the duty of Kushi place. Kushi is reserved for central place of Theodore. While women perform their rituals, men prepare for race horses. The men are in the morning, comb and decorate their finest horses with colored threads, beads and tassels. On a large meadow is already measured and marked route of the race, the whole village gathered to tense spectacle. After the race, which won the fastest, follows the ceremony - a nice feed bag, wreath that girls are woven and last but not least - universal respect and recognition. The horsemen and the winner made an honorary lap around the village, accompanied by a blessing by farmers. And then the prince gave treats to his home. As is procedure, everything ends with a dance in the center of which are the riders. Festive meal of bread, lentil soup, mushroom soup, potatoes, corn on the cob. Name days are Todor (God's gift) Todora, Theodora, Theodore, Tosho, Bozidar, Bozhidara, Bozhanka, Darina, Bozo, Dara, Darko, Dora, Dorka, Darka, Dorothea.